I have been doing some mus­ing recent­ly on how com­pi­la­tions of oral tra­di­tions com­mu­ni­cate time in link­ing a sto­ry togeth­er. For exam­ple if a series of sto­ries about a per­son are com­mu­ni­cat­ed, does it nec­es­sar­i­ly mat­ter the order that they are com­mu­ni­cat­ed in, and does the sig­nif­i­cance of that order change between dif­fer­ent cul­tures? Say we have a col­lec­tion of sto­ries about Winnie the Pooh, labeled Scene A, B, C and D. Temporally they occurred in a cer­tain order A > B > C > D, but what would hap­pen if A.A. Milne decid­ed to com­pile these as C, A, D, B? While in our Western con­cept of time and space this would appear unnat­ur­al and con­fus­ing, I’m not sure that this is uni­ver­sal­ly applic­a­ble. 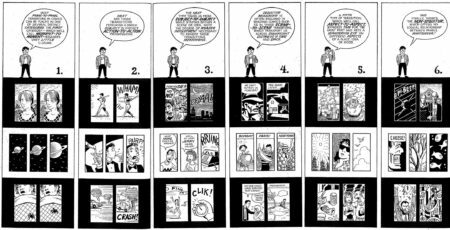 In mus­ing about this I went back to an old book I have around on how sequen­tial artists com­mu­ni­cate in their spe­cif­ic medi­um: comics. 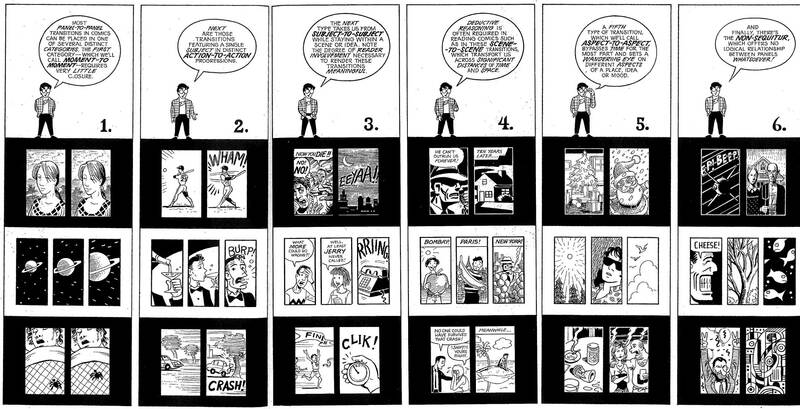 Scott McCloud pro­vides a help­ful series of cat­e­gories that com­ic artists use in com­mu­ni­cat­ing tran­si­tions between their pan­els. However, I think that the style of com­mu­ni­ca­tion with sub­ject-to-sub­ject and aspect-to-aspect tran­si­tions is lost on a lot of Western audi­ences, as they impose a tem­po­ral­ly sequen­tial hermeneu­tic on the pan­els. What I have been won­der­ing about is how this would apply to col­lec­tions of oral tra­di­tions or mem­o­ries. In many cas­es when Western trained schol­ars look at col­lec­tions of oral tra­di­tion, such as the Gospel of John, or the book of Judges, it is pre­sumed that the mate­r­i­al must be tem­po­ral­ly sequen­tial in some form. 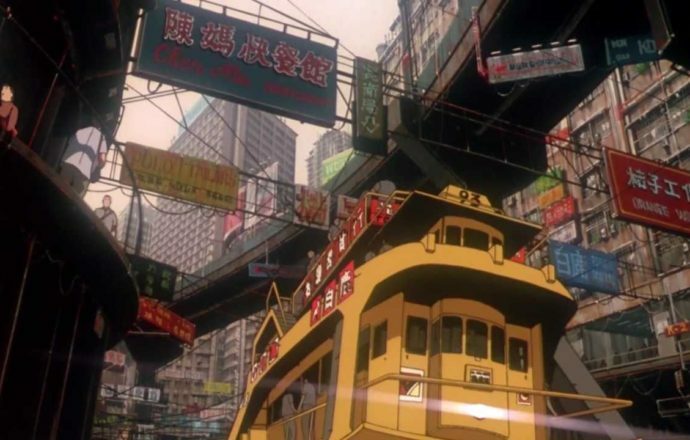 But I have a sneak­ing sus­pi­cion that this is a par­tic­u­lar­ly Greco-Roman con­cept, and that quite pos­si­bly the Hebrew/Jewish con­cept of time is more along the sub­ject-to-sub­ject and aspect-to-aspect line. This, I think, would sig­nif­i­cant­ly change how we inter­pret and cen­tre the com­pi­la­tions of col­lec­tions of oral tra­di­tions. The next ques­tion though is how does it change?